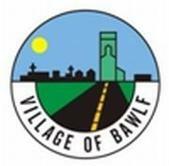 ​The Village of Bawlf distributes a monthly newsletter, the Village Voice. In addition to being available to read on this website, it is available by mail to those in Bawlf who receive flyers in their mailboxes, as well as at the Bawlf Country Store, and the Village Office. The deadline to submit information about your community events is usually the last or second last Monday of every month. Email to customerservice@bawlf.com, or use the form below.